Ordered oil change kit for my Mini Cooper. One of the oil containers had leaked throughout the box, soaking everything else, and through the bottom of the box. Made a oily mess. You need to check the caps to make sure they are tight before shipping. 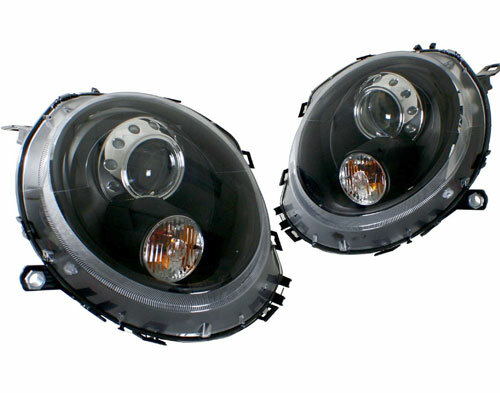 Do NOT buy these headlights! If you have a problem whatsoever with them, with anything at all the distributor will not warrant the product. That is they will refuse to support you in a manner that is convenient or remotely helpful to you the customer. It is because the distributor does not care. They only want to make money and they refuse to please you or care about anything you have to say. Advantages: When it works it works. Aaron will help facilitate having him as a middle man for communication. Disadvantages: Will not exchange it as in send you a new one and you send the broken one back. They want you to forgo a headlight so that you can send it to them to repair and you be w/o a headlight for up to 3 weeks. They do not accept returns. They do not communicate well at all. They do expect you to repair said problem. They do not care about you at all. Advantages: Came with both the H7 and 7507 bulbs. Disadvantages: Supplied bulb caps do not snap on like the factory ones, but will hold.